A recent article in the Huff Post about math skills caught this reading blogger's attention. According to the article Kindergarten: Math Skills Prove Key to Later Academic Success, Researchers Say by Elenor Yang Su, the amount of math learned in kindergarten is a strong predictor of a child's future school success. This was according to a study of 20,000 kindergarten students conducted by UC Irvine education professor Greg Duncan. In fact, math skills ranked higher than reading skills in predicting school success! Reading skills were second and were followed by social skills and study skills. "I'm not implying that there needs to be flashcards and drill-and-kill exercises," Duncan said. He suggests teachers use math lessons that let kids explore and manipulate numbers. For parents, he recommends they point out shapes to their kids and play cards and board games to help them get comfortable with counting. Here at Ready. Set. Read! I thought it would be interesting to share some ways to integrate math into your literacy time. Why not give your kids jumpstart in both areas? 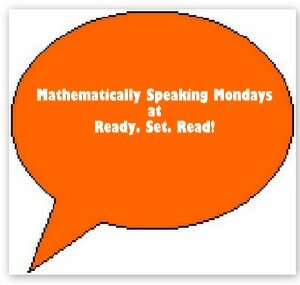 So each Monday, I'll be sharing a literacy activity that incorporates math skills. This week we created name graph snowmen. We wrote each family member's name on sentence strips. Logan cut the letters apart. Then we cut the square letters into snowballs. Quick tip: A great way to teach your child to cut a circle is to give him a square and direct him to round off the corners to create a circle. We had already painted some paper with falling snow by making prints from painted bubble wrap, so we glued our snowmen right to our bubble wrap prints. We stacked the snowballs to create name snowmen. We finished them off with heads and hats. Which snowman is the tallest? Which snowman is the shortest? Which snowman has the most letters? Which snowman has the least letters? Do any of the snowmen have the same number of snowballs? Very interesting. I am not at all happy with our K math curriculum in my daughter's school. It assumes that kids don't know numbers at all. Luckily, the teacher is trying to do her best to keep math interesting even though homework is mind numbingly boring. I think math is SO important! My daughter barely does any math in kindergarten; luckily we do a lot of play that involves mathematical thinking at home. Love your ideas! 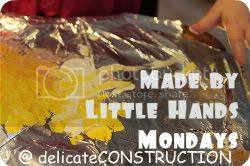 very developmentally appropriate and FUN!! Excellent lesson! I found you via It's Playtime and am a new follower. I have a new meme called Thematic Thursday and this week's theme is Winter/Snow. I'd love to see this post linked up. Find Thematic Thursday here. Interesting article. And what a great activity which includes so many skills. We're always thinking alike! I guess it's the background and the philosophy towards learning. 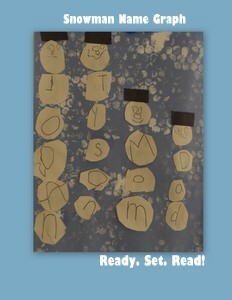 Tuesday we posted SIMPLE ways to integrate early literacy and math skills into a winter theme study. We did a graph with tally marks. This article is interesting! We love hands-on math investigations!!! However, with my Reading Recovery background, I've always heard much more focus on early literacy development. Taking a new look at early mathematics development intrigues me!